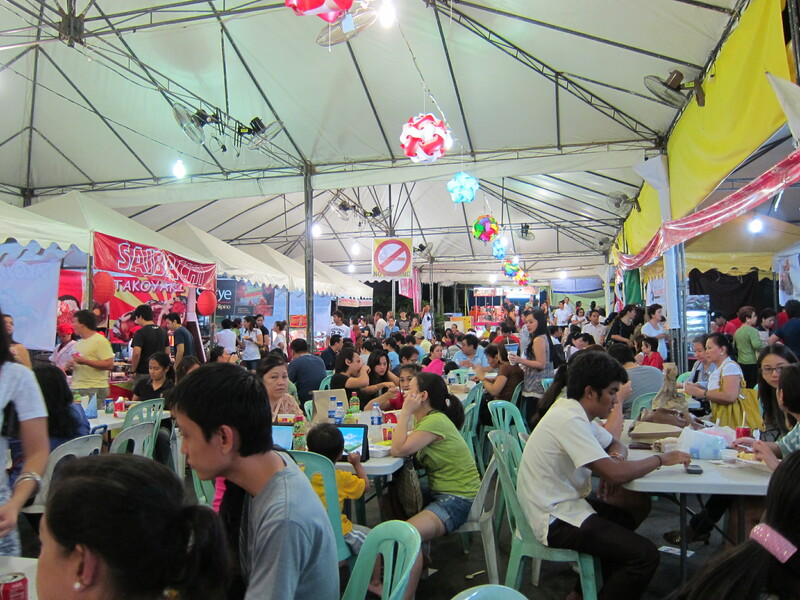 The food court in St. James Bazaar is filled with a variety of cuisines – Filipino, French, Japanese, Chinese, Persian, and more. 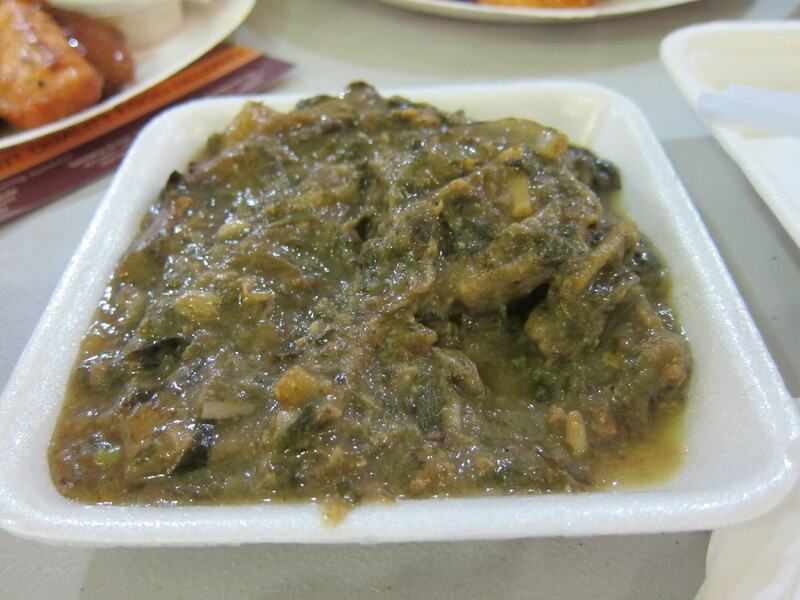 The usual favorites were there – Hecky’s Lechon, Persian Shawarma, and Vaca de Leche. 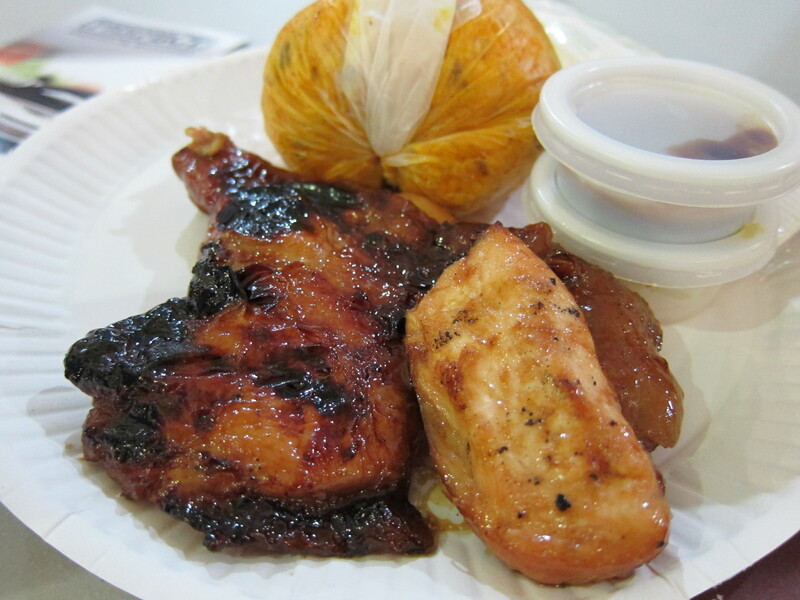 Notable brands such as Yellow Cab, Army Navy, Brother’s Burger, Serye and Barrio Fiesta have also set-up shop. 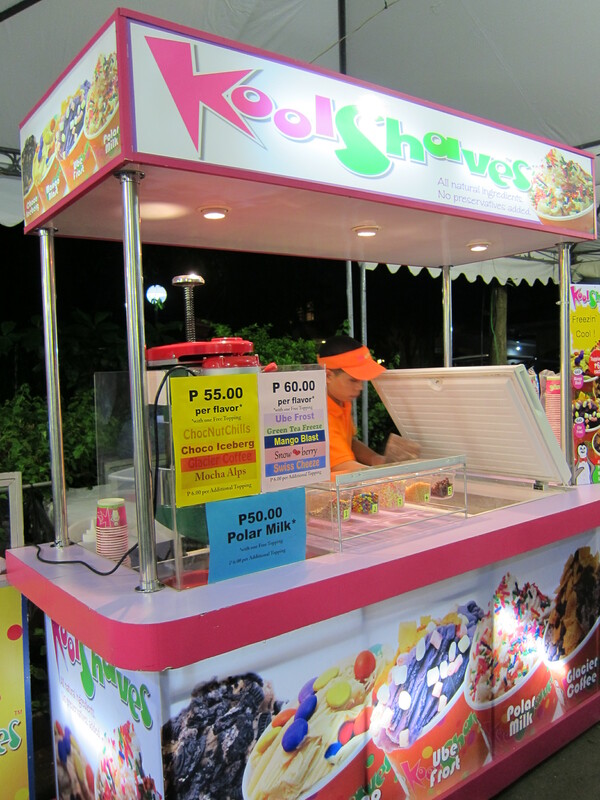 Desserts include Coolman, Theobroma, Koolshaves and something new – Apple Fries. 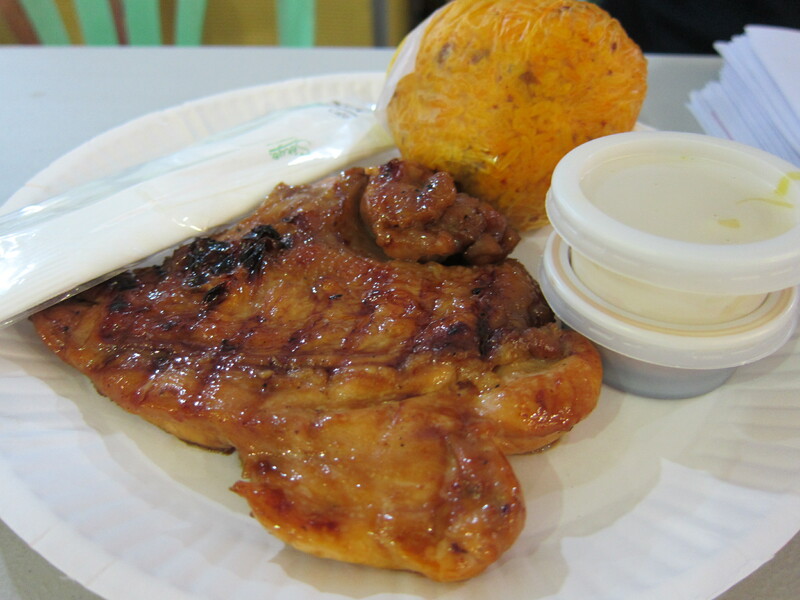 Food is definitely not the cheapest starting at around PHP100.00 for a decent meal. 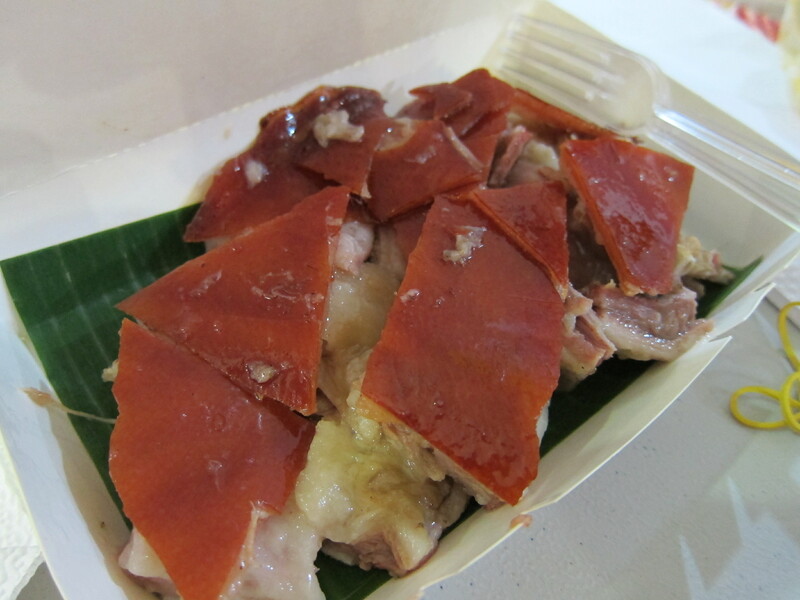 Hecky’s Lechon came out with a Lechon meal for PHP100.00. We also tried the Vaca de Leche, Army Navy’s Burritos and the Persian Shawarma.